Grassley told the Fox hosts that Congress has no legitimate interest in obtaining Trump’s tax returns. 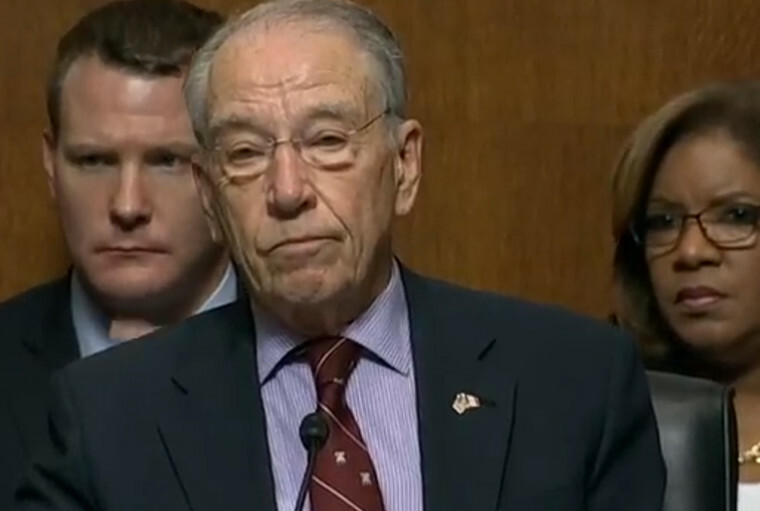 It’s a claim Grassley made at greater length during a speech on the Senate floor on April 4, the day after Ways and Means Chair Rep. Richard Neal (D-MA), sent a letter requesting the returns to IRS Commissioner Charles Rettig. Grassley is misstating both what the law regarding Congressional requests of tax returns says, and what the intent of Congress was in passing it. The law Neal is relying on does not place any restriction on the purposes for which tax returns may be requested, and it was passed in 1924 specifically to allow selected members of Congress to examine the finances of members of the executive branch as part of their oversight duties. The law was written in response to “Teapot Dome” and other scandals during the administration of President Warren G. Harding. In 1922, Harding’s secretary of the interior, Albert Fall, solicited bribes while deciding which oil companies would receive leases to drill for oil on federal land near Teapot Dome, Wyoming. The Senate launched an investigation of the leases, and Teapot Dome became the most famous scandal in American political history, until its notoriety was eclipsed by Watergate. The Harding administration resisted the Senate investigation, claiming senators were exceeding their oversight authority. The Senate sued, and in 1927 the U.S. Supreme Court ruled in its favor, explicitly establishing Congress’ ability to compel cooperation from members of the executive branch during investigations. The 1924 law, as amended in 1976, states the IRS commissioner “shall furnish” any tax returns requested by certain members of Congress responsible for tax policy, including the Ways and Means chair. It does not allow for any discretion on the part of the commissioner regarding the request, or give authority to the Treasury Secretary or any other official to challenge it. The Supreme Court has restricted the ability of Congress to investigate average citizens, but the court recognized those restrictions don’t apply to elected officials, such as the president. Testifying before Congress on Tuesday, Treasury Secretary Steven Mnuchin was asked if the tax returns Neal requested would be turned over. The only previous occasion Congress considered using the 1924 law to obtain presidential tax returns came when it was investigating whether Richard Nixon had illegally avoided paying taxes. Nixon ended up voluntarily turning over his returns to congressional investigators. “I welcome this kind of examination because people have got to know whether or not their president’s a crook,” Nixon said, when asked about his decision to cooperate. as he was a Senate page during the Harding administration.